In search of some gourmet cooking ingredients? How about a one-of-a-kind gift? Or maybe some super fresh right off the tree (or out of the ground) fruits and vegetables? Or maybe all of those things? Well, there is a place (4 actually) where you can find all of that and more while showing support for Tampa’s local farmers, artisans and craftsmen. 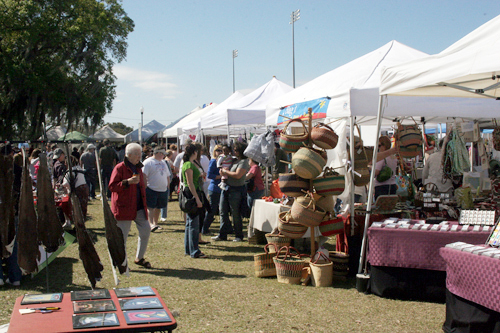 In Tampa, four local Markets are providing our community with quality products, beautiful arts and some very good eats. At the market you will find stands of locally grown and/or produced fresh fruits, vegetables, herbs, honey, eggs and milk. Bouquets of roses and sunflowers. Fresh baked breads, bagels and pastas. Homemade soaps, potpourri and folk art. And jewelry, silver and hand cut t-shirts. And by supporting these markets and shopping locally, you are helping to preserve our community as well as promote our small and independent businesses.